Corporate credit cards are gradually working their way into the business payments psyche, moving beyond their traditional role of being pulled out for travel or expenses. They are now going virtual. 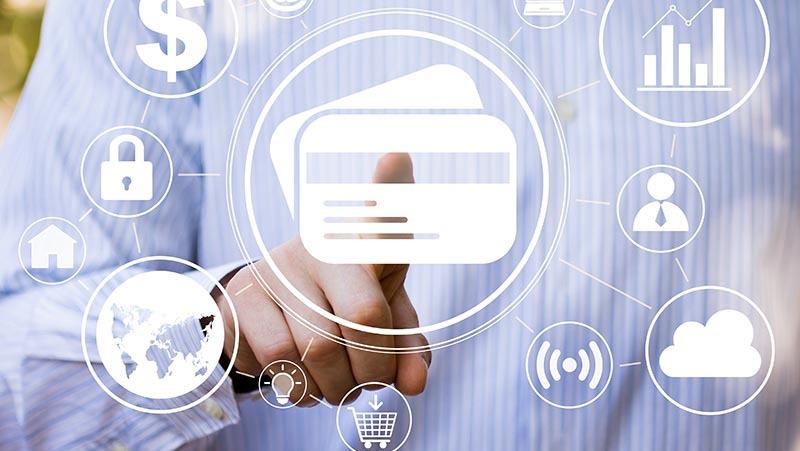 There has been a watershed moment with the realisation that corporate credit cards have a central role to play in managing a company’s working capital and improving transactional traceability. It’s no surprise that card-based business spend continues to increase year on year, with no signs of stopping. In the US alone, annual commercial card spending is growing across all categories, with a combined annual growth rate (CAGR) approaching 10%. But while commercial cards are here to stay, even in the face of new technology and innovation, there is one innovation that makes perfect sense in this increasingly tap-and-go world. In most cases, of course, the commercial card is still a physical piece of plastic. But whether it’s a P-Card being used by procurement teams to make strategic supplier payments; a central ‘lodge’ card capturing travel service costs; or a corporate credit card being used for ad-hoc purchases, it’s actually the card number that’s being used to pay the bill. This is where virtual cards come in. They work just like plastic commercial credit or debit cards. The difference is that they only exist digitally. With no plastic to worry about, a new virtual card can be created for every single transaction a company makes. Reduced risk – There’s no need to issue all of your staff with plastic commercial credit cards, or share a single card around the office. Simply issue a virtual card on the fly as required. Greater security – Because a virtual card can be used just once, they significantly reduce the risk of fraud and the admin costs associated with lost or stolen physical cards. Easy reconciliation – When a virtual card is created, data can be automatically appended to it, such as job number, client code, staff number, product code or phase number. This delivers significant process efficiencies when it comes to payment reconciliation. Finance managers are naturally nervous about opening lines of credit to the first employee to ask for one. But with virtual cards, they are able to marry security with flexibility. No corporate card issuer would create physical card accounts for single purchase events - it’s not only slow but expensive and impractical. However, with virtual cards, it makes perfect sense. With one click, corporate banking clients haven’t just bypassed credit application processes, they’ve added the convenience of transactional traceability, automated receipts, simpler reconciliations and reduced the opportunities for fraud. Corporate credit clients are understandably nervous when it comes to introducing new behaviours into their expenses management procedures. Concerns over technical compatibility, employee abuse of privilege, changes to established accounting procedures all loom large. But they don’t need to. Some reports put commercial virtual card spend in the US alone during 2017 at $132 billion and the sector is growing worldwide. With many virtual card programmes hosted in, or compatible with, cloud-based expenses management systems, there should be no disruption to existing processes. And, it could be argued, if simplifying expenses reconciliation and automating receipt and transaction processing is disrupting existing systems, it may be high time those systems were disrupted.